FYI Ever oasis is 24.97$ At Gamestop if they still have sealed ones. I heard people get games in this situation at the last discounted price, is there a procedure or is it just luck? If they’re already out of the system, your best bet is to go to Guest Services and ask someone (usually a manager) who has access to a handheld scanner to see what the last price was it was sold for in their system.  Chances are a “regular” redshirt won’t know or have access to what needs to be done. Because these are repackage games, BS may be able to show you inventory but not sale price. Like for Adventure Time 207-34-1810, BS says my store is out of stock (it had two, I bought one) and that the price is $29.99 rather than $5.01. You have to check in store every so often for these repackage deals. If anyone lives near the Burlington MA Target, they still have a bunch of Fire Emblem Warriors marked 11.98 as of last week. They ring up as out of system but since they're priced they'll just put the price in when you check out. I picked up the last Monster Hunter Stories they had. Also have pop sockets for 2.98 if you're into those for your cell. what are the prices on them games on the shelf? are they all different prices? Hmm... I didn't check many of them. Morrowind, For Honor, and Pac-Man Championship 2 were $5. Vampyr and Attack on Titan 2 were $18. The Target clerk who got the cages off for me said he got Battlefield (I assume BF1) and Watch Dogs 2 for $5 ea. These price drops were fresh at my store. 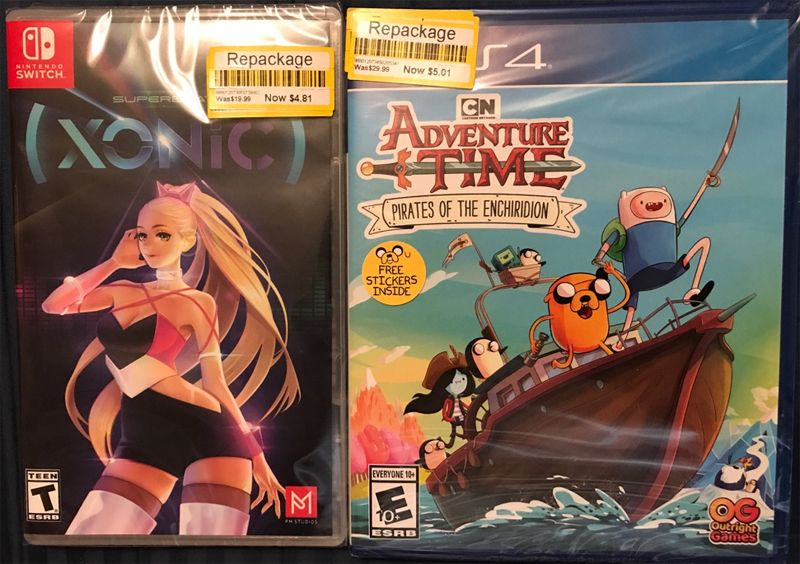 Just two days ago, Adventure Time was $10 and Superbeat Xonic was $14. more organized than the store I go to. its like a tornado goes through. I had no idea “Repackaged” tagged games went through a similar markdown process to regular clearance...I was under the impression that it was a “set it and forget it” kind of tagging. Good price on on vampyr and watch dogs. 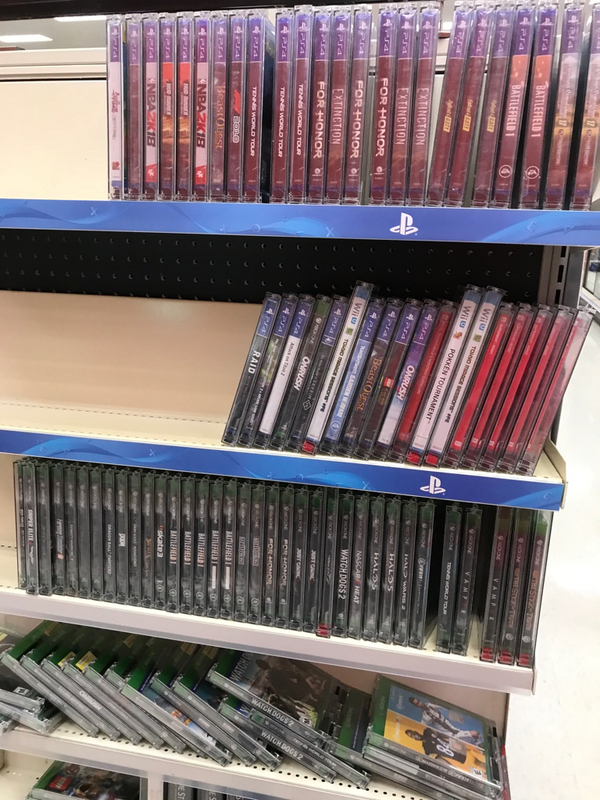 My local stores put repackage stickers on the games that were supposed to be regular clearance. It seems to be all manager discretion and it took years for almost all of it to hit even 50% off. Very ymmv. Yeah, usually the "repackaged" or "online return" items at my stores don't go down further in price; however, I noticed they marked down the repackaged CDs that showed up a month ago to about 70% - 90% off recently. I can't remember how much Elex was, but the price was good enough that I would have bought it if they had the PS4 version. Probably $5-6. really good price on fallout 4 goty. im heading over there tomorrow to see what they got. Does Fallout 4 GOTY have a separate DPCI, or did it merge with the regular edition? Far Cry: New Dawn has a 30% off Cartwheel that would make it about $14 plus tax if I can get them to PM GameStop at $19.99. Worth it? Hell yeah. I love the Far Cry series and its just a continuation of 5 after the world is destroyed and things are being restored. Yeah its more of the same if you have played the last 4 games, but for that price, you can't beat the amount of content and great story. I thought you cant use cartwheel with pricematch, usually either or. Does the winter stuff like blow up sleds and stuff like that go lower than 70% off? I can't remember. Fallout 4 GOTY Edition 207-34-1776. $29.99 for me. This weeks ad for Fallout 4 GOTY advertises $30. Under “Game Favs Sale” or whatever lists it at the $30 price also. Highly ymmv? After my target remodeled there haven’t been anymore clearance games. Sad day but I rarely even check anymore. BS can't check repackage prices. You have to go to the store to see if it is cheaper. YMMV if your store has converted the game to repackage. Even if they did, the repackage price probably varies between stores. $29.99 at every store near my location. I was going to explain the process myself and didn't know if it was "right" to do so, but whatever...now I have no guilt! I've had one of these and couldn't resist picking up one at that price as a spare. I haven't had much luck in finding game clearance at target lately. You might want to take another look around your store. My crappy Target took away their endcaps and didn't have any electronics clearance at all for a few months. Then the last time I went there was a new spot for clearance in a pretty weird out of the way spot. This store was never a good place to pick up clearance, but now that not as many people are going to be walking by it maybe it will be easier to find some good stuff.